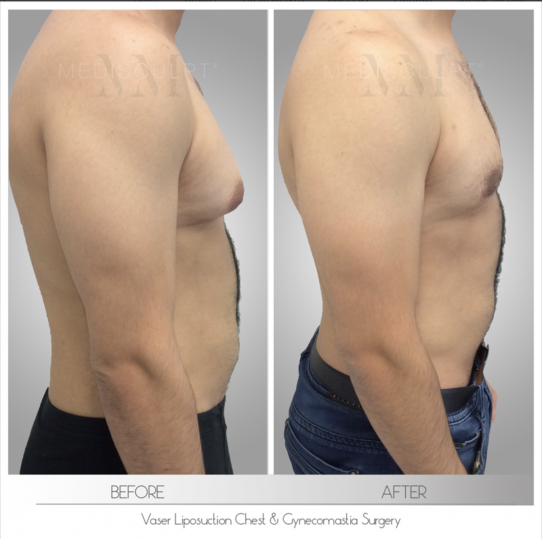 Medisculpt™ is proud to introduce the latest generation of Vaser™ 2.2 Liposuction in Perth, Western Australia — which has been considered as the gold standard in high definition liposuction worldwide. This is the technique of choice for the best cosmetic surgeons all across the globe. Dr Jadoon has performed countless Vaser Liposuction procedures and is renowned for achieving natural-looking results with one of the highest patient satisfaction rates. Can you explain how the procedure of Vaser Liposuction works? During the process, the unique Vaser cannula (a thin pencil-like structure) is inserted under the skin through a tiny hole (2mm) in the fatty tissue layer. The probe emits ultrasonic waves, which selectively liquifies the unwanted body fat. This emulsified fat is then gently sucked out using a power-assisted vibrational liposuction cannula. The technique causes minimal trauma to the soft tissue surrounding the fat while enabling the surgeon to extract the maximum amount of fat safely and effectively. Patients experience far less trauma with this technique compared to the traditional manual Liposuction technique. Post-surgical discomfort and potential side effects are also significantly decreased.